So, ANUCON is on tomorrow and i've actually done a lot more beforehand than i'd expected, i think the simple colourscheme for this army lends itself to mad-rush speed painting, and lets face it- they're orks- too neat and precise with would ruin the effect. Although a lot of the minis will have sections of black undercoat showing through, all of them will be green skin and blue armour/warpaint. Bases arent done, thats an immense job that wasnt going to happen in time, but as im really only going for some fun then I really dont care! 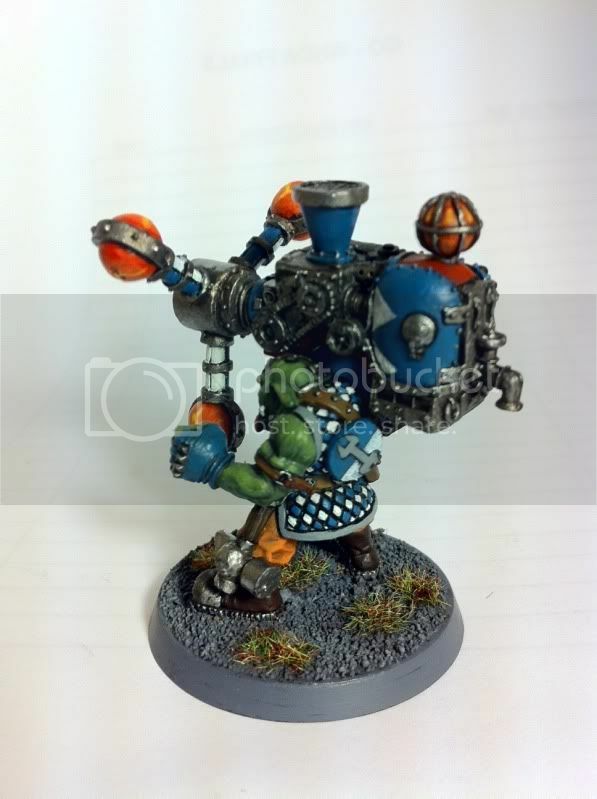 So on to the Big Mek. I bought this guy from the UK via eBay, he's a 1990 metal model who had never been painted or glued together, a rare find! Thankfully he landed in the mail at the start of this week, so with a quick cut and shut i brought him into my list for this weekend. This then forced me to paint him up- and as the Vintage Mini Competition was running on Second Sphere then I thought why not enter him... I found a plastic AoBR Ork left choppa arm for him, and cut off the weapon, sculpting a dip in the top and bottom of the clenched fist. 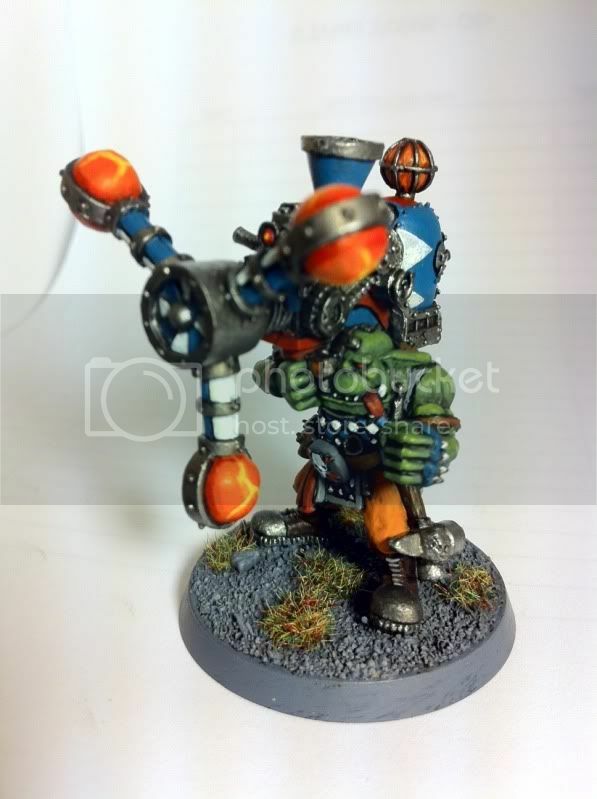 For the painting i used a lot of the same colours as the rest of my Deathskulls, but with the inclusion of some brighter colours on the gun itself, this pays homage to the origins of the model and the era it comes from. The small details on the model are what i love the most- the spanner earring, the glass vial on the side of the gun and the stuff tucked into his belt. Also, the tongue poking out of the grinning mouth is pure Rogue Trader "Space Ork". I also gave him a very brief basing job, however this may not end up being the scheme for the rest of the boyz- i can rebase the Mek later if a better idea comes along. Im proud to say that my blog has now been added to the From The Warp (FTW) blogroll, a collective community location for a lot of 40K-centric blogs that aim to positively promote the hobby and gaming. 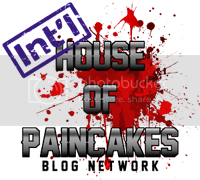 I'd advise you visit the site and make sure to look around at all their useful articles and list of other blogs, its an absolute melting pot of enthusiasm and creativity over there! Im hoping that through them I contribute to the wider community as well as getting my blog out to a wider audience. I also have just joined FTW. 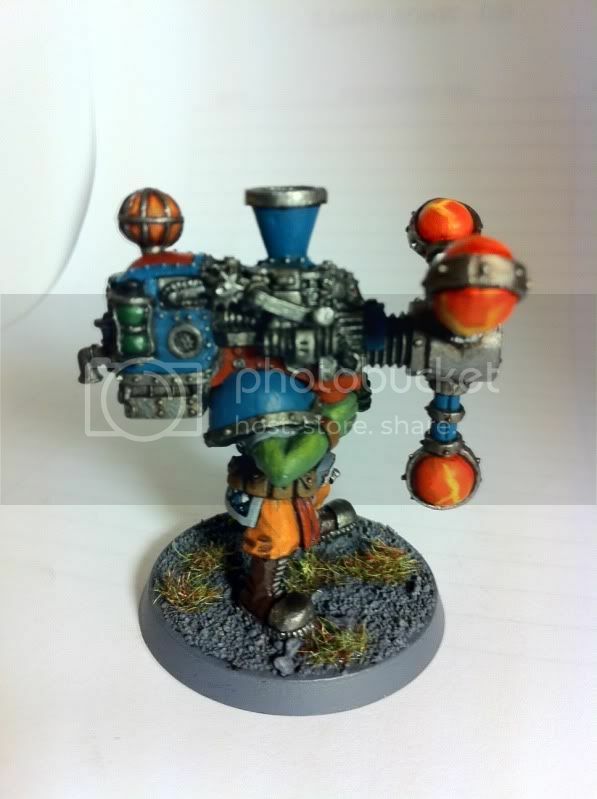 Glad to see another ork painter! I am just getting started with the hobby so I'm always looking for work to compare my own too. Your orks look great, i can see the tones without zooming in, and hes bright and ready to keel, just like an ork should be. Love the old school model and the Deathskulls are a great clan to paint as well.